Punjab: Max hospital, Mohali has found itself mired in controversy, after a senior cardiac Surgeon, previously associated with the hospital came out in public alleging a strong “referral racket” rampant at the prestigious institute. 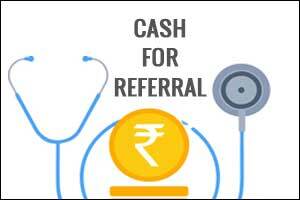 As per the doctor’s allegations, referral money, popularly known as cut or commission, is changing hands not only for patients coming from outside the hospital, but also rampant in the form of inter-departmental referrals within the hospital itself. The allegations have been put forward by Senior Cardiac Surgeon Dr Virendar Sarwal, who until recently was the Head of the Department of Cardiothoracic and Vascular Surgery at the hospital. He is the proprietor of Kanahiya Daya’s Sarwal Heart Surgery in Mohali and he says Max had outsourced its department to him. According to his allegations, referral money was being regularly demanded by a Cardiologist at the hospital, for referring patients to him. “A cardiologist at Max asked for Rs 15,000 as referral money to be paid in cash to him if he sent me a patient for cardiac surgery. I refused. I don’t buy patients,” Dr Sarwal told Hindustan Times. Apart from the inter-departmental referrals he also alleged that referral was being paid to ECHS doctors for referring patients to the hospital. He told HT through an email that referral money was sought by the cardiologist for sending ECHS patients for cardiac surgeries. “A list of patients was sent to me and the money was to be given to ECHS doctors. I refused and reported the matter to the authorities but no action was taken. Instead, the cardiologist stopped sending patients requiring surgeries to me,” he alleged. Not only this, he further added that the was being pressurised by the hospital marketing department to payout the referral money for patients referred by certain doctors. When he did not pay up, the same was deducted by the finance department from his payout. “The finance head started deducting referral money from my payout for that cardiologist and for peripheral physicians for referring four patients. I objected as it is against the medical code of ethics and an act of corruption under the Indian Penal Code,” he claimed. Adding that he had been opposing this practice since 2017, he alleged that his services were terminated by the hospital on April 20th when he raised the said issue at a meeting with senior officials. “The parties will mutually settle their account. It was agreed that the end of the relationship will be termed as mutual cancellation of contract and not termination. I should go a little longer in asking, \”Who owns the majority of medical colleges in India in private serctor and why\”? The answer is better to discuss for? Sad and bitter truth shall unfold. Business system is conducted through agencies of refferals. Doctors who are not surgeons and outside the hospital sends them to be properly treated. THEY deserve the refferals fee. NOTHING wrong as this is a part of any business. Doctors are becoming same breed as politicians.